Who ever said you should wait for Christmas to be able to enjoy hot chocolate? 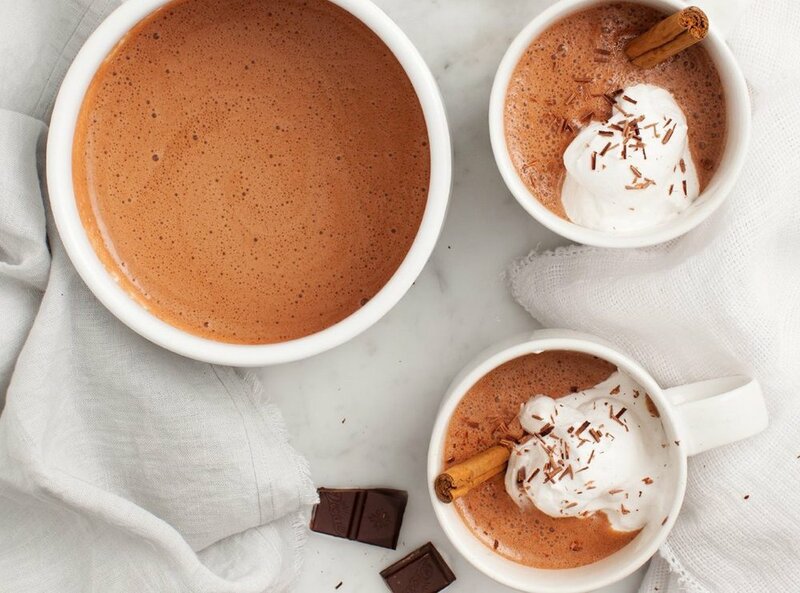 Get that early Christmas feeling with this delicious chocolate drink, spiced with a dash of cinnamon. The perfect way to keep warm when it´s getting colder outside. Start by melting the coconut oil in a saucepan. Afterwards whisk together all the ingredients and heat slowly. Adjust sweetness with the amount of maple syrup. Tip: grated dark chocolate sprinkled on top gives you that extra yummy taste. Enjoy!